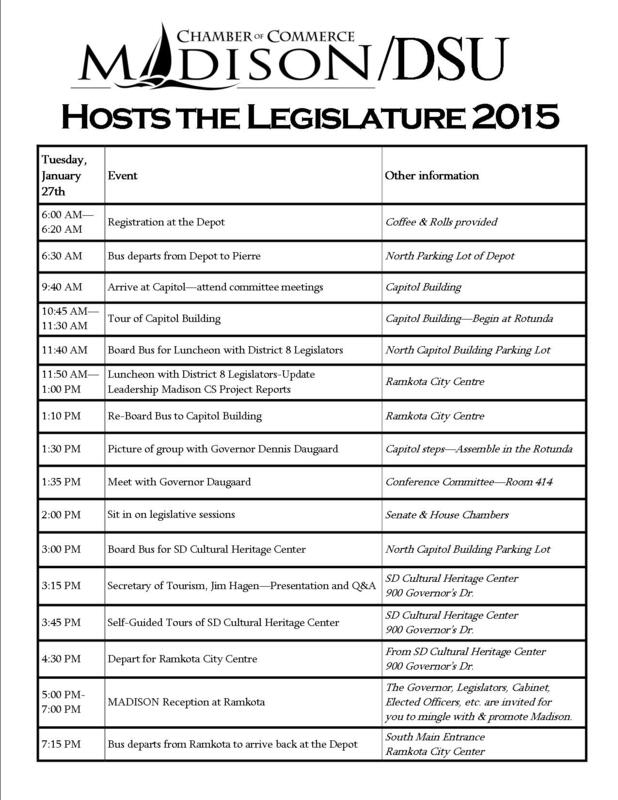 The Greater Madison Area Chamber of Commerce – Governmental Affairs Committee and Dakota State University have released the agenda for the 2015 Madison/DSU Hosts the Legislature event in Pierre, SD. This annual event includes a day of learning about South Dakota state government at the Capitol while networking with legislators and guests about the great community of Madison. Cost is $60 and includes a motor coach ride to Pierre, full day of activities, luncheon and reception. Seats are limited so make your reservation today! 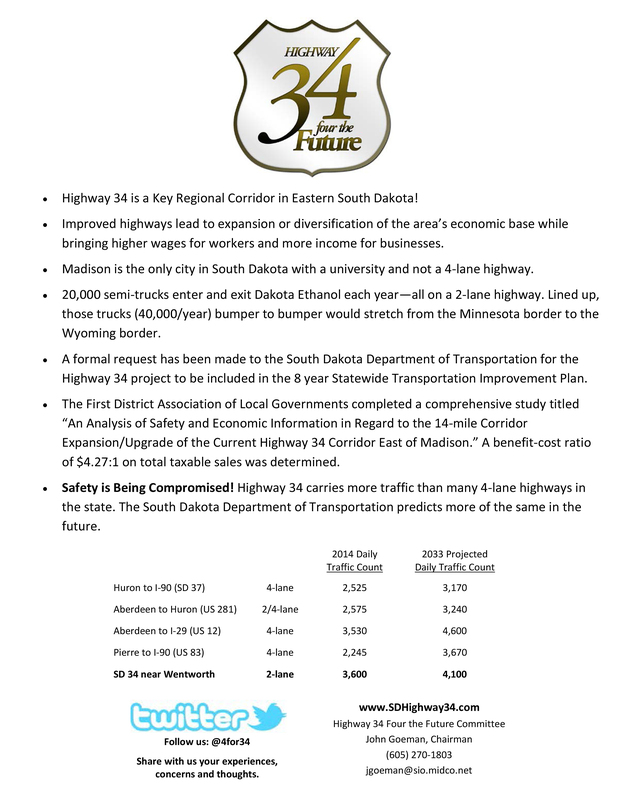 For more information, visit www.chamberofmadisonsd.com or call 605-256-2454. You can also find the GMACC on Facebook. Heartland is celebrating Public Power Week next week along with more than 2,000 other community-owned, not-for-profit electric utilities that collectively provide electricity to 47 million Americans. In recognition of Public Power Week, Heartland plans to host electric utility officials from the city of Madison and other customer communities for lunch tomorrow at our headquarters. As a token of appreciation, Heartland will be giving away electric grills to two customer utilities for their use. Public Power Week is an annual national event coordinated by the American Public Power Association in Washington, D.C. The association represents not-for-profit, community-owned electric utilities that power homes, businesses and streets in nearly 2,000 towns and cities, serving 47 million Americans. With no divided loyalties, these utilities are focused on a single mission — providing reliable electricity at a reasonable price, while protecting the environment. More at www.PublicPower.org. 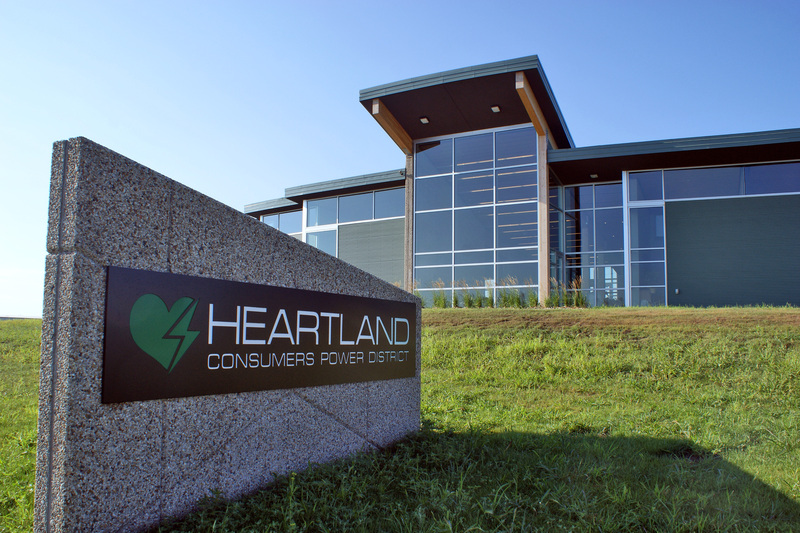 Heartland is proud to have an active presence in our hometown community of Madison, SD. Some of that presence includes sponsorship of local events, programs and organizations, such as the local high school athletic booster club. Madison High School recently renovated their building and built a new gymnasium. With the upgrade in facilities, the school installed new scoreboards that feature video and playback content. As a game day sponsor, Heartland has produced a 30-second commercial which runs on the boards during timeouts and game breaks. If you can’t make it to a basketball or volleyball game this season, you can check out our video online, after the link below. Good luck to all Bulldogs! We’re proud to serve the city of Madison with the Power of Forward Thinking–ensuring the lights are on game day and every day.